Vaqta is a hepatitis vaccine, that is to be kept in a refrigerator that maintains somewhere between 2°C to 8°C ( 36F to 46F). It is never to be frozen or have extended exposure to temperatures below 0°C (32F) as freezing will destroy the vaccines potency. If VAQTA has been exposed to various temperatures, there is an allowance for it to still be administered, as long as the total time it was exposed to temperatures, outside what is recommended, is less than 72 hours. The vaccine can be taken in and out of the vaccine refrigerator, as long as the combined time that it is out is less than a total of 72 hours. 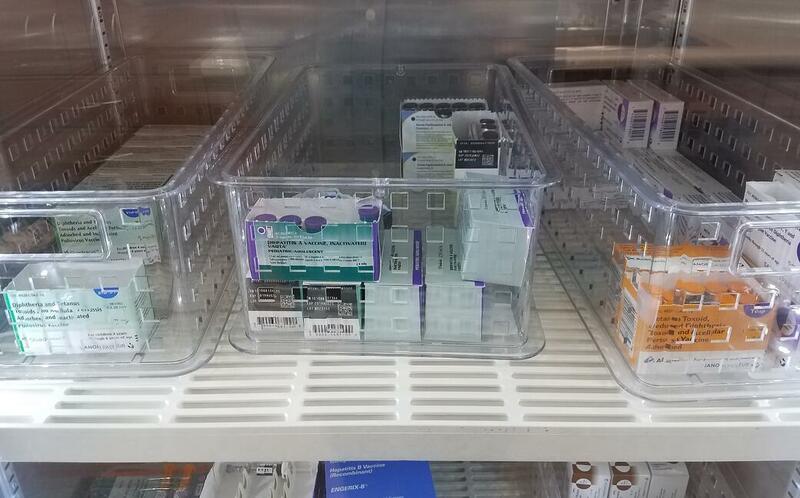 However, this is not the manufacturer's recommended way of storing and handling the vaccine. It really should be kept in the refrigerator right up until it needs to be administered to the patient.